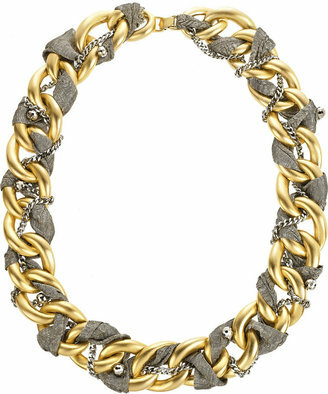 If you enjoy chunky necklaces check out this woven marvel – Oscar de la Renta Gold Plated Chain Necklace. This bold piece adds modern glam to any outfit. The gold chain is interwoven with metallic ribbon and silver-tone chain. Gorgeous! I only wish the price was cheaper than $660. 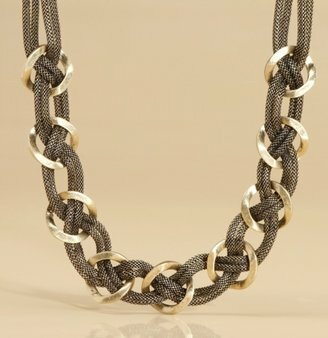 Wrap your neck in this cheap yet chic Two-Tone Braided Necklace. The slinky mesh chain is braided through gleaming vintage rings. 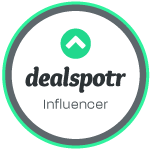 On sale for $29.95 $49.50. Throw it on over a simple tee for an effortless look. Next post: Rick Owens Drkshdw zipper jeans on sale!